Investing on good web design = More business opportunities? If you’re the type of marketer that frequently hops from one business site to another just to stay in the competition, then you’ve probably noticed how these sites are evolving these days in terms of web design. Basically, this “evolution” has two major, extreme opposite categories: simplicity and radicalism. The move for simplicity is driven by those who got tired of flashy, over-animated sites and preferred to employ a plain, straightforward design, with basic functions and fewer variations in color. It’s sort of a regression (or even rebellion) from advanced web designing – which, in turn, is the exact essence of radicalism: utilizing an assortment of multimedia, animations, vivid shades, edgy fonts and interactive buttons. Whether you want your design to lean towards the far left (simplicity) or the far right (radicalism), it is important to know exactly why this choice even matters. Neil Patil, a top entrepreneur and web influencer (www.quicksprout.com) said in an article titled How Saving On Design Could Cost You More In The Long Term that web designs are actually investments over time. He gave several evidences wherein his expenses on making his site design better actually paid off in terms of the increase in readers, better circulation of posts, offers of speaking engagements and job opportunities. He considers all these blessings as ROI for his site’s high-quality design. 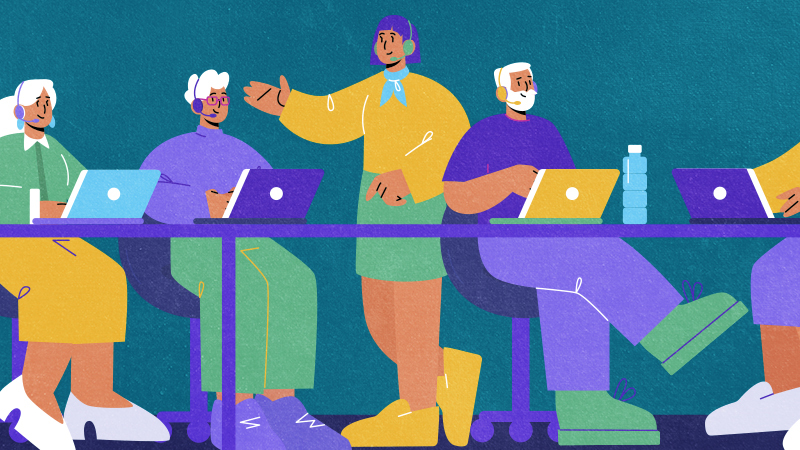 Skill – You may have your own standard when it comes to web design, but it’s always safe to ask other designers to see if someone fits the bill. Sites like dribbble.com can give you an idea about designers’ skill level and how others like their work. Analytics – Your designer should understand how to read stats on Google Analytics or read survey results, otherwise he or she won’t know how to design for your customer. Conversion rate optimization– As additional pre-requisite, designers should also be well-versed with conversion rate optimization. A handsome site that doesn’t convert is pointless. Initiative and backbone – You need to hire a designer that has the guts to say “no” if he thinks there’s a better way to optimize your site. He must be assertive in helping you achieve what’s best for your business. Taste – Taste is different from skill. A lot of designers are software experts and know every detail by the book, but don’t have the “eye” for good taste. This separates the seasoned, more experienced designers from agitated fresh grads. https://www.callboxinc.com.au/wp-content/uploads/2019/01/callbox-logo.png 0 0 admin https://www.callboxinc.com.au/wp-content/uploads/2019/01/callbox-logo.png admin2013-10-09 06:21:442017-04-18 08:03:08Investing on good web design = More business opportunities? Sales runs on high-octane fuel that consists of intelligence and time. When you know who to call, when to call them, what to listen for and what to say, you close more deals. Marketing automation generates such highly qualified leads that you can identify them as ready for sales engagement — right now. Marketing automation tools let marketers track and measure a prospect’s activity, identify when a lead meets known buyer-readiness conditions, and pass that lead to sales as soon as a hot prospect is ready to be contacted. This eliminates the need for cold calling and wasting time on leads that aren’t ready. Additionally, marketing automation makes it feasible to nurture prospects at scale, which speeds up the sales cycle by warming prospects into hot leads — and then qualified sales opportunities. To help decide whether your sales team can benefit from marketing automation, here are 10 points to consider. These are key ways marketing automation serves as a sales enabler to help you identify, nurture, approach and close new sales. 1. Eliminate cold calling. With marketing automation, the team has tools to nurture leads until they’re ready for sales or to be dismissed. This process generates well-qualified leads that have displayed buying intent — meaning you spend your time in front of prospects who are ready to buy instead of cold calling. 2. Remove the blindfold. Know who you’re calling and what to say. Customer intelligence dashboards show you what each lead cares about, what content they’ve viewed, and what actions they’ve taken, so you can talk to them about their specific needs. 3. Know when to call. 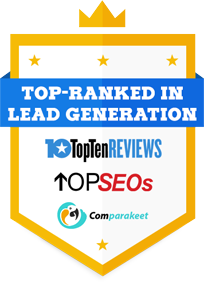 Along with high-scoring leads getting passed to you as they become sales-qualified, web site visitor tracking alerts you whenever a particular person or company visits your web site. You know when they’re thinking about your company and solutions. You can even set alerts to be notified when someone is browsing a particular page on your web site. For example, you can get an alert that a buyer you’re working with is studying a page with in-depth information about a product other than the one you’ve been discussing. That could lead to a whole new sales opportunity. 4. Shorten the sales cycle. Research shows nurtured leads close faster and generate larger deals. Your marketing team feeds prospects content and information they need, guiding them through the buying cycle. When a lead exhibits strong buying signals, it gets passed to sales. Marketing automation gives marketing teams the muscle they need to more effectively nurture leads, drawing them through the funnel more quickly and delivering more highly qualified leads to sales. According to CSO Insights, companies that excel at lead nurturing have 9% more sales reps making quota. 5. Make the most of email. Sales reps can use marketing automation systems to automatically personalize messages, send them at the optimal times for prospects and format them appropriately for a particular customer. Trigger emails can be customized to inbound actions so buyers receive personalized communications. CRM integration ensures that all email communications — automated or otherwise — are captured in your activity history for each lead. 6. Help marketing qualify leads in a way that is most helpful to the sales team. Marketing automation provides a framework for your potential customers’ progress as they traverse the buyer’s journey, and makes it easy for marketers to manage leads. You define characteristics, such as title or industry, and behaviors, such as attending a webinar, that indicate when a prospect will likely become a buyer. Buyers that meet your pre-defined conditions are assigned to lead groups, such as “Marketing Qualified,” “Sales Accepted,” or “Sales Qualified,” taking the guesswork out of a lead’s status. Leads advance through classifications automatically as they engage in progressive buying behaviors, until ready for sales engagement. 7. Use scoring to prioritize your time and attention. By assigning a score to lead behaviors and demographic characteristics, marketing automation tracks a lead’s progress through the lead funnel with pre-defined scores. For example, if you know that looking at your pricing page is a buying signal, you assign that action a high score. Scores accumulate. When a buyer-ready lead score threshold is passed, a notification to the correct sales rep is triggered, letting them respond to that hot lead quickly. Some systems generate Hot Prospect list notification automatically, helping sales reps focus on the best leads and reach them at the right time. 8. Maximize customer lifetime value through cross-selling and up-selling opportunities. Marketing automation reports and dashboards enable analysis of customer data, such as purchase history and company size, which helps identify targets for cross-selling and up-selling. Behavior history profiles indicate likely follow-up sale products based on each lead’s pre-purchase and post-purchase content interactions. 9. Benefit from marketing automation without leaving your CRM. Many marketing automation systems integrate with Salesforce, Microsoft Dynamics, SugarCRM, and SalesLogix, and work with other systems as well. It’s particularly convenient when salespeople can view and access powerful lead insights and opportunities right in their own CRM dashboard, saving time and effort. 10. Align sales and marketing. According to an Aberdeen study, 91% of top-performing companies marketing had a strong understanding of sales goals, as opposed to 63% of laggards. Successful companies align marketing and sales goals and collaborate on activities like developing buyer personas. This leverages sales’ insider knowledge of customers and buying stages to create content, programs, and campaigns that are better targeted and more effective for closing sales. This article was written by Chris Hardeman, Act-On’s VP of Sales, and appeared on DemandGenReport.com. Marketing automation has grown tremendously over the past five to ten years and is no longer only for large enterprise companies. As small and mid-size businesses implement marketing automation solutions, there are common issues they encounter. In my early experience with marketing automation, these are the lessons I’ve learned. Closely aligning marketing and sales is imperative to success with marketing automation. The marketing team must clearly understand the sales cycle and how prospects move through this cycle. To measure the effectiveness of marketing campaigns, it is essential to track leads through the sales funnel. Ensuring marketing automation platforms and CRMs are integrated and able to talk to each other by sharing data is essential. If you’re starting with lead nurturing campaigns, begin with discrete campaigns to get quick wins. Crawl before you walk by mastering tactical campaigns like event follow-up and webinar follow-up before jumping head first into more complicated nurturing campaigns. This allows the time to learn what resonates with your audience and iron out any issues that might arise. Marketing automation saves time and resources by automating functions, but one must be careful to avoid auto-pilot mode. I learned this valuable lesson recently when an IT company transition threw a wrench in my marketing automation processes. Automation can quickly become sales prevention when “contact us” forms are not properly routed. I now schedule check-ins to ensure all forms, campaigns, and lists are functioning correctly and have not been interrupted. One purpose of lead nurturing is to build a profile of prospects who engage with your content over time. Profiles should qualify the prospect as it relates to the offering. Insight into content consumption can also be used to determine future content offerings. As a prospect moves through the lead nurturing campaign, put new content behind walls with additional questions to further build the profile and qualify the prospects. This information can then be added to the profile and the drive customization of the campaign. Content proves to be king once again. It takes large quantities of resources and content to fuel campaigns, but the trick is ensuring you have the right content. Content should be valuable and be something that people are willing to swap information for. Content that lives on web pages or is easily accessible doesn’t cut it. Content needs to be exclusive. Think along the lines of white papers, cheat sheets, case studies, and e-books. Working at an integrated marketing agency specializing in search engine marketing, I’ve been beat over the head with the importance of constantly testing and optimizing performance. The same applies to lead nurturing with marketing automation. Opportunities for testing are endless: subject lines, links, content, time of day to send messages, days between messages, etc. Continual testing and optimization will increase the return on investment of your marketing automation investment. As I continue my marketing automation journey, I look forward to discovering other strategies, tricks, and tactics to continually improve lead nurturing campaigns and marketing automation processes. Do you have any tricks or tactics that have proved successful? Please share in the comments below. This article was written by Rebecca Whitefield and originally appeared on iMediaConnection.com. While analyzing record second quarter earnings for Salesforce.com a few weeks ago, CEO Marc Benioff gave partial credit for a 30% revenue bump to the company’s addition of ExactTarget—and specifically its Pardot marketing automation arm—to its Marketing Cloud. Salesforce had just acquired the company in June. Could it really have made a difference that quickly? Or was Benioff justifying the whopping $2.5 billion price tag to shareholders? It nagged at me to get on the phone with people who know better (than me, that is) to answer the overwhelming question: What’s the magic behind marketing automation and why are companies like Salesforce and Oracle shelling out a billion bucks and more to add it to their arsenals? I recently hosted a webcast featuring a company called Demandbase. Its approach is to use data to help B2B players sell the most stuff to the most appropriate prospects while breezing by the tire-kickers. That sounded a lot like the promise of marketing automation to me, so I asked Demandbase CMO Greg Ott if marketing automation was living up to its notices. Ott’s ultimate point is that marketing automation is but one layer in the marketing tech stack. He ticks off several significant new methods being used by marketers that are untouched by marketing automation: content marketing, customer engagement enhancement, and testing and optimization. Marketers are increasingly being looked upon by senior management at B2B companies as revenue-generators. Because sales cycles tend to be long in those companies and are closed by sales reps who take most of the credit (and all of the commission), the only way B2B marketers can earn their bonuses is by producing and tracking solid leads that convert. Salespeople tend to focus on the low-hanging fruit—big legacy clients. Marketers’ opportunities, then, reside higher up the tree (and the sales funnel) where a feature of marketing automation called lead nurturing comes into play. While sales shuns these prospects, marketing uses automation and data analysis to examine their buying process and conversion potential. Once categorized, the system automatically communicates with the prospects in a manner and frequency that could bring them back into the discussion. If they take certain actions laid out by a company in its marketing automation platform, they are promoted as warm leads and sent back to sales. Sales now has a qualified lead and potential new account that it spent no time nurturing. That makes both sales and marketing happy, and the B2B world is a better place. An automation program can also keep a seller’s name in front of lost accounts. “We all lose deals,” says Blitzer, “But if you’re good enough to have been a finalist and you know who you lost to and the duration of the contract signed, you can position yourself for the next deal.” A common approach is to keep light contact with lost accounts with content-driven emails providing thought leadership and information on trend-setting products. “Your automation system will increase contact as the contract expiration approaches. If you win back only 5% of these accounts, it moves the needle on your business,” says Blitzer, who notes that the process is something few salespeople have the time or inclination to do. The final raison d’etre for marketing automation stems from analytics – an area most CRM systems are isolated from. Marketing automation will engage in social listening and website monitoring of top-of-the-funnel prospects being ignored by salespeople, who will be tipped off, for instance, that Mr. X was on the company site checking out Product Z and maybe could use a call or an email. Once again, it’s potential found money for sales and a trackable lead for marketing. Marketing automation may not be setting the world on fire yet, but it is a catalyst for B2B marketers to take themselves to a place senior management is insisting they inhabit. It’s a scary place called The Land of Measurable ROI, and you have to journey over the stormy Sea of Sales to get there. This article was written by Al Urbanski and originally appeared on DMnews.com. admin https://www.callboxinc.com.au/wp-content/uploads/2019/01/callbox-logo.png admin2013-09-30 06:08:592017-04-20 07:48:42Marketing Automation: Hot or Not? Whenever someone mentions the word “Disney”, there are only several possible thoughts that quickly enter the mind: Disney films, Disney products, and Disneyland. Below the surface, one would also associate “Disney” with happy thoughts, like your favorite friend, your recent rollercoaster ride or a nursery rhyme you used to recite as a kid. The Walt Disney Company is a multi-faceted mass media corporation, and it has become more than just a film producer, merchandiser and theme-park corporation. They were able to sell their own unique concept of joy among kids and adults alike, and their brand will be forever identified with that iconic symbolism. Disney and several other successful companies in the world have come to know exactly what they’re selling, and such a question is very important in running a business. In the Business-to-business (B2B) setting, there must be a clear definition of what you want to sell to the public so all your efforts will be geared towards it. Do you know what your company is really selling? B2B sellers that are product-focused spend all their marketing endeavors in making their products look good in front of the relevant buyers. Their strategies usually involve emphasis in exposure through photos in social media and print ads. For service firms, they like to advertise in multimedia including TV commercials and YouTube videos to let people know what they actually do. The Disney example is the perfect example of a company that sells itself. Disney loves to stick their popular characters on almost any product out there – lunch boxes, bags, toys and clothing. They don’t have to be particular, for as long as there’s a “Disney” iconology visible, people would already associate it with quality and esteem. For a company to effectively do this there must be a long-term investment on attempting to broaden your reach as extensive as possible. Once a name is established, it will sell your products for you. Conspiracy theorists believe that anti-virus software companies deliberately spread viruses throughout the web so people – and especially businesses – would buy their products. Appalling, yes, but true or not, you would see how they market their software by reminding people of the problem (sometimes creating an anti-virus to counter a certain popular virus) and would tell people that their solution is the only one that works. This is as common as it can be. On TV, you always see diet products or programs that show you a before-and-after visual to convince you that they work. B2B companies, such as outsourcing firms, would usually boast their statistics (“We can increase your sales rates by 66 %!) or their clientele (“We’ve helped major companies such as….”) This is a traditional way to attract prospects by painting a picture of success before their eyes. The thing about telemarketing, and why it gives a lot of grief for countless companies, can be traced to the poor management and planning practices that one often commits in the name of marketing. Really, if you want to generate good sales leads, you have got to know how to do things properly. More often than not, we fall into marketing practices that cause nothing but trouble to us. If anything, we should avoid them. But to do that, we have to first know what can cause our B2B lead generation campaigns to fail. Knowing is winning half the battle, so to speak. It is up to us on how to correct these mistakes. Let us start with the first error that even veteran appointment setters commit: making assumptions. But what could be even more troublesome for business would be to make a bad assumption. Marketers need to examine data most of the time in order to make sensible marketing plans. The problem here is when we make conclusions based only on an initial set of data. Or, like some marketers do, they skew the data to be obtained in order to get favorable results. That is not a good business practice. Indeed, it can pull you back. So, for you to be more effective as a marketer, be honest. Get all the data that you can possibly get. Only when you have the details should you make a conclusion. Another error that marketers make lies with the way they plan the campaign. Most marketers today, especially those pressured to hit the numbers, are focused on creating campaigns that drive the sale. That is not a good business move. Business these days is all about establishing a relationship with your customers. And you can only do that by applying yourself in various marketing touch points. You have to be everywhere, in any medium, in order to connect with the most number of people. And instead of spending big bucks on traditional advertising, maybe a little telemarketing survey on the major influencers might be more effective. At least you know who can get to your audience better. Lastly, despite what others say, nothing beats the original. That is the same thing with marketing. Maybe you got interested with the marketing strategy employed by another company. It was so effective that you wanted to imitate it. While trying to emulate the success of another company in generating B2B leads is not all together bad, you should also know that copying them is inviting problems for your firm. Remember, that strategy worked on them because they are ‘them’, not ‘you. See what happened to Radio Shack when they tried to copy Apple’s branding strategy. It can be that bad, really. As a sensible marketer, why not try tapping into your creative juices and come up with an appointment setting strategy that works well for you? See? These are the mistakes that you should be avoiding in your telemarketing campaigns. Are there any other bad marketing moves that you can share?